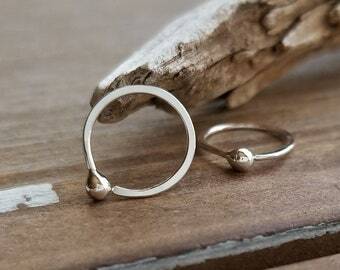 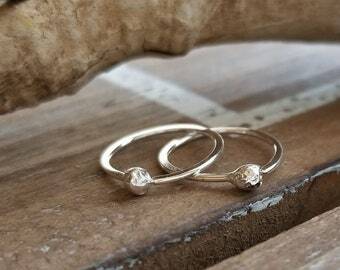 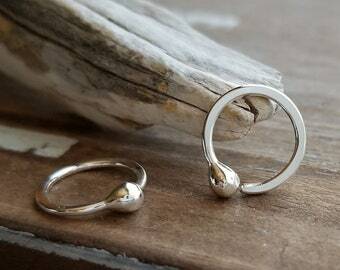 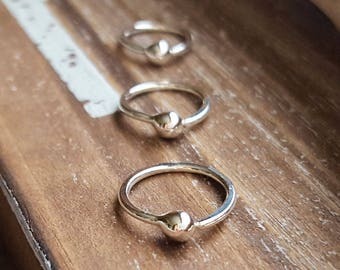 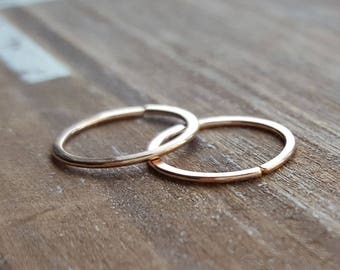 Whether for your cartilage or lobe piercing, these teeny tiny hoop earrings would look awesome! 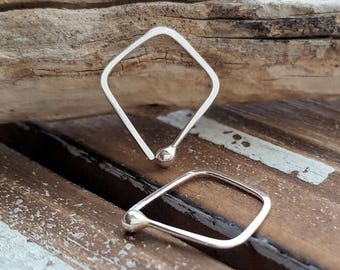 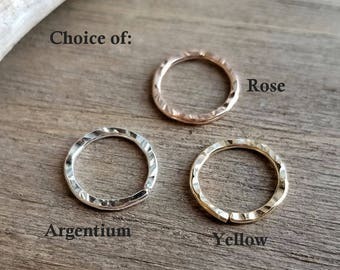 Choose 1 single or 1 pair of these Argentium Silver hoops as noted below and in the drop down menu. 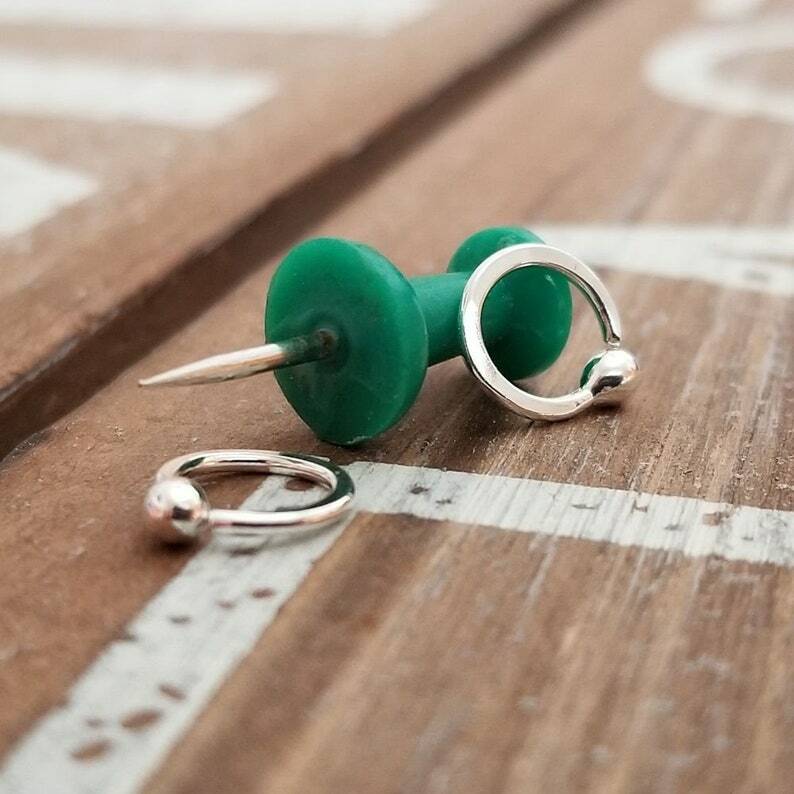 See link below if you need them in 20g. 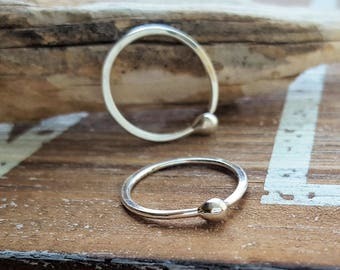 After creating the ball end, I hand form the hoops with 18g Argentium Silver, file the end for comfort, hammer and finish with a tumble polish. 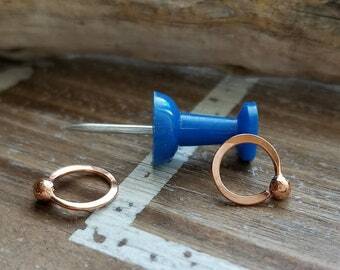 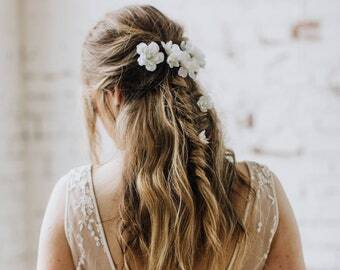 To wear, twist slightly side to side, insert the hoop then twist closed. 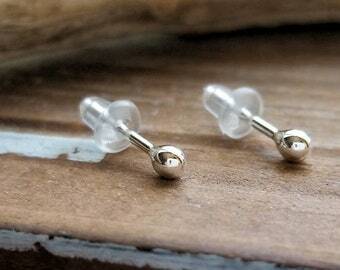 Standard lobe piercing: 20g is considered the norm - these are made with 18g (the lower the number the thicker the wire).